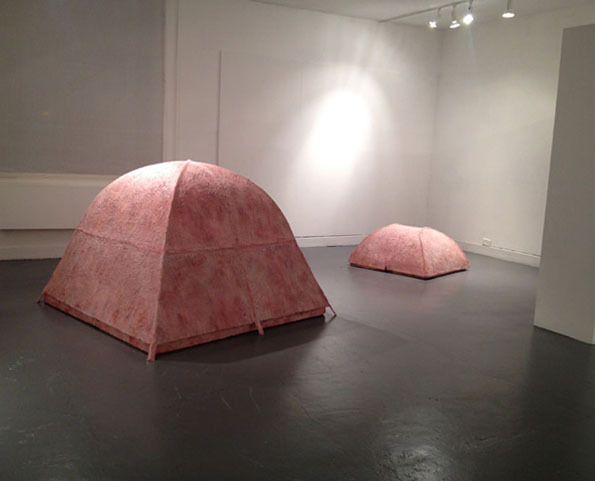 Artist Andre Hasler created this tent that looks like blood and guts. 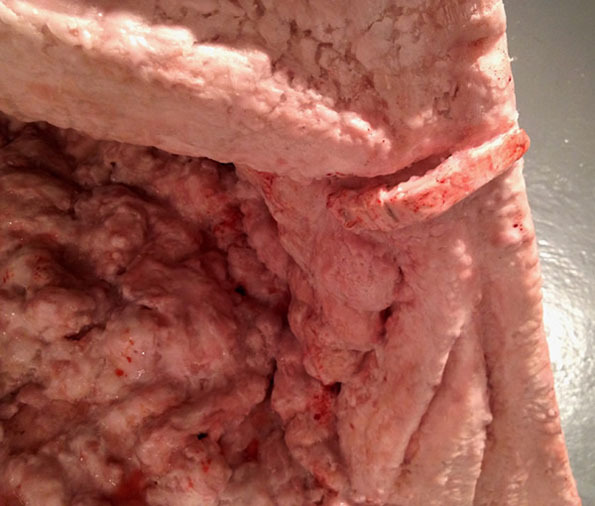 It’s made out of sculpted fiber-glass covered with wax. Regardless, it’s scary. Scarier than getting eaten by a bear which is my number 1 fear when camping. It’s right up there with using the wrong kinda leaf as TP. I’m talking Poison Ivy on your nethers and it’s not a laughing matter. If instead of fiber glass and wax it was made with foam and fabric, I’d buy it. looks quite cozy! If you forget it’s colored red and pink (or if you’re colorblind), it’s not scary at all. Never a greater waste of time or money ever spent…..